Emojis have hijacked our words, our social networks, and the general literacy of our nation's youth. So while it feels like I should hate rapper Yung Jake's absurdly skilled emoji-based portraits on principle alone—I can't. They are grotesque, they are obscene, and they are incredible. 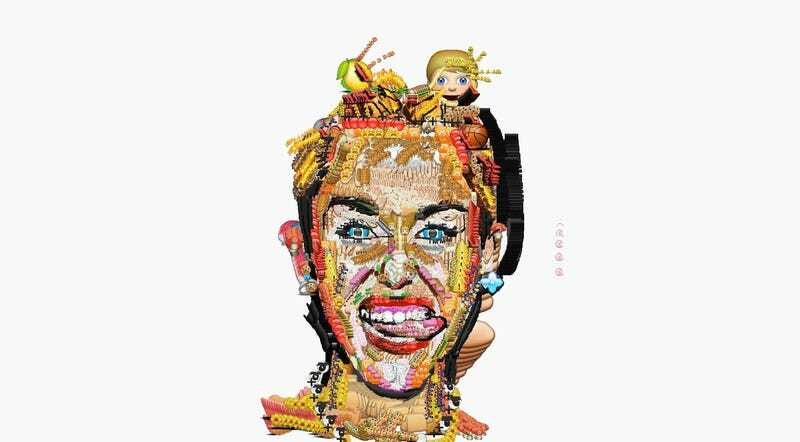 The "internet anti-socialite's" artwork comes courtesy of emoji.ink, a site that allows you to create works of art using the various emojis of the world as your paintbrush. A talent for which Yung Jake appears to have a natural propensity. You may be wondering as I was, is it really attributable to talent or skill when there's a program explicitly intended to facilitate these sorts of drawings? So for the sake of journalism, I set out to paint an emoji sun. Either Yung Jake is an emoji prodigy or I have a severe fine motor skill deficiency. Perhaps both.